10oz. (300ml.) 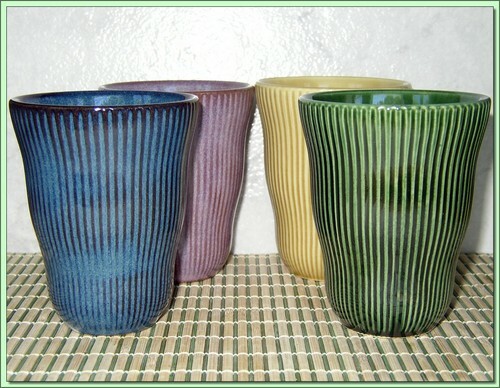 Attractive large high glaze ceramic cups with vertical ridged bodies in different colors and smooth white interior.